Sanctions-hit Iran could launch a cryptocurrency later this week. So say sources quoted by Al Jazeera yesterday. The Qatar-based media network claims that sources close to the matter have confirmed to it that there is a likelihood that the financially isolated middle-eastern country will launch the state cryptocurrency this week. An annual 2 day Electronic Banking and Payment Systems conference is scheduled to take place in the Iranian capital, Tehran on Tuesday. The theme of this years conference is ‘blockchain revolution’. 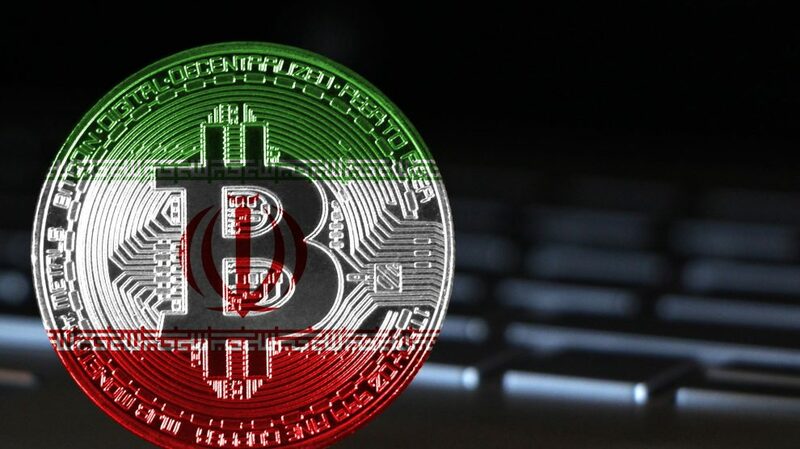 Its at this event that its thought that the Iranian state will take the opportunity to announce the launch of its own central bank digital currency (CBDC). Iran had been subject to sanctions in the past. An agreement was reached with the Obama administration in 2015 with regard to Iran’s Nuclear program. President Trump re-examined the deal and decided to throw it out and reimpose sanctions. The objective of those sanctions is to target the Iranian economy, particularly its oil sales, shipping industry and banking industry. In terms of banking, Iran is effectively locked out of the international banking system. Despite European countries being against the re-imposition of sanctions, Trump went ahead with that. The U.S. also influenced the Brussels based Society for Worldwide Inter-bank Financial Telecommunications (SWIFT) in having it lock Iran out of the financial messaging system – again, despite protests from the Europeans. If a country is denied access to SWIFT, it can’t pay for imports or receive payments for exports. This has to be crippling for the country, resulting in them having to seek out alternative methods of moving money. Following the imposition of the second round of U.S. sanctions on November 5, the Governor of the Central Bank of Iran – Abdolnasser Hemmtai – stated that Iran was already in the process of developing an alternative in light of the loss of SWIFT access. Prior to this current issue, the Iranian state wasn’t particularly crypto-friendly. This hard line approach culminated in the government banning cryptocurrency trading back in April of last year. It’s thought that the Persian Gulf country is feeling the affects of these sanctions given that it is willing to embrace the idea of a national cryptocurrency despite originally approaching the subject from a less than crypto-friendly perspective. As a direct consequence of the sanctions, Iran’s currency – the Rial – has suffered in excess of 30% inflation in 2018. Back in September, a draft specification for a national cryptocurrency was released. The crypto-rial will run on Hyperledger Fabric – an open source blockchain framework implementation hosted by The Linux Foundation. No mining is required as it effectively runs on a private blockchain. The Iranians intend to roll out the currency on a phased basis. Initially, it will be accessible to Iranian banks and companies involved with cryptocurrency. Phase two implicates the rolling out of the digital currency to the Iranian people. This will entail allowing them to use the national cryptocurrency for retail payments. Russia is in a similar position and it has been speculated by many that it would embrace a state cryptocurrency. Despite that, Russian president, Vladimir Putin, has stated that he didn’t expect there to be a national cryptocurrency. He explained that his understanding of cryptocurrencies is that they are decentralized by design. It’s understood that other member states of the Commonwealth of Independent States (CIS) would be likely participants in an alternative international financial system. Venezuela became the first nation to introduce a state cryptocurrency. This came about due to similar rationale – with the country being the subject of ongoing U.S. sanctions for some time. It has also been identified by the Americans as a country that would likely support the Iranians in their attempts at introducing an alternative to SWIFT. Centralized digital currencies are not at all what crypto enthusiasts want. However, as a secondary effect, their introduction may help the adoption of decentralized cryptocurrency in some small ways. The effect of digitization should bring it home to people that there is another approach.